Minor trauma fractures (MTF) in the elderly are associated with an increase in mortality, morbidity, and the risk of subsequent fractures. Often, these patients who sustain MTF have an underlying bone disease, such as osteopenia or osteoporosis. Osteoporosis is known to be underdiagnosed and undertreated, and adequate treatment is essential to reduce the occurrence of MTFs. At our hospital, this has led to the implementation of Osteofit, a patient-education-based intervention targeted at improving screening and prevention of osteoporosis, with the goal to reduce the rate of subsequent MTF. 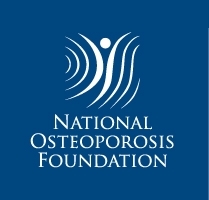 The aim of this study was to assess the efficacy of Osteofit in improving osteoporosis screening and treatment in patients after an initial MTF episode. The study is a prospective, single-center, cohort study of MTF patients aged 50 years or older. A standardized questionnaire and telephone interview were used to collect 1-year follow-up data. The primary outcome was the rate of patients undergoing Dual X-ray Absorptiometry (DXA) scanning. Secondary outcomes were the rate of patients with a diagnosis of osteoporosis or osteopenia, the rate of patients treated with anti-osteoporotic medication, and the rate of patients with a subsequent fracture. DXA scanning rate, the prevalence of a diagnosis (osteoporosis/osteopenia), and data on medical treatment for osteoporosis were compared to the results of a previous study in the same hospital, published in 2004. Between 2012 and 2015, 411 of 823 eligible patients consented to participate and were included in this study. The mean age was 72 ± 9.3 years. Sixty-three percent (63.3%, n = 252) of the patients received a DXA scan, compared to 12.6% reported in our previous study. 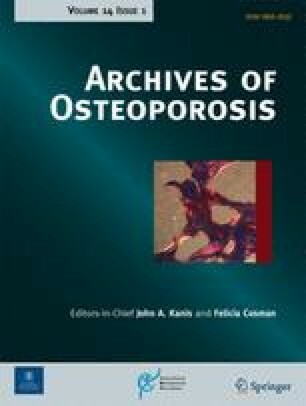 Of all patients who received a DXA scan, 199 (82.9%) were diagnosed with osteoporosis or osteopenia. A total of 95 patients (23.1%) received specific medical treatment for osteoporosis and 59.8% reported the intake of any unspecific medication (vitamin D, calcium, or both). Fifteen patients (3.9%) had a subsequent fracture as a result of a minor trauma fall. The implementation of a MTF secondary prevention program with dedicated health professionals improved the rate of patients who underwent DXA screening by fivefold. Despite this improvement, DXA screening was missed in over a third of patients, with only 23% of eligible patients receiving specific medical treatment for osteoporosis at 1-year follow-up. Consequently, this tailored intervention is a promising first step in improving geriatric fracture care. However, further work to improve the rate of osteoporosis screening and medical treatment initiation for the long-term prevention of subsequent MTF is recommended. We believe osteoporosis screening and adequate osteoporosis medication should be integrated as standard procedure in the aftercare of MTF.